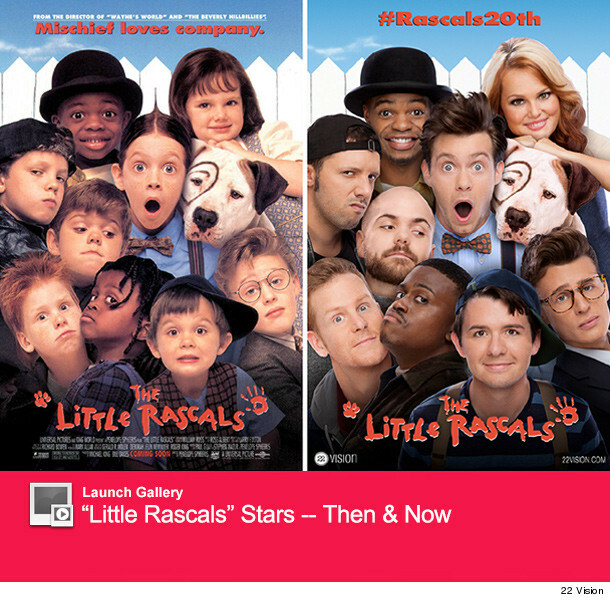 "Little Rascals" Reunion: See the Amazing Now & Then Photos of the Entire Cast! The He-Man Woman Haters Club is together again! The cast of the 1994 kids flick "Little Rascals" recently reunited to celebrate the film's 20th anniversary -- and they did it with one epic reunion photo shoot. No longer children, the actors who played Alfalfa, Darla, Spanky, Buckwheat, Porky, Stymie, and even bad guys Waldo, Woim and Butch all took part in the reunion shoot, where they dressed up in their characters' costumes to recreate a few memorable scenes. The entire shoot was orchestrated by Brian Pocrass at 22 Vision, who tells toofab he chose the movie because "It's one of those films that everyone grows up with, they haven't been reunited and it's a fan favorite." For most of the stars, they hadn't seen each other since promoting the film back in 1994. 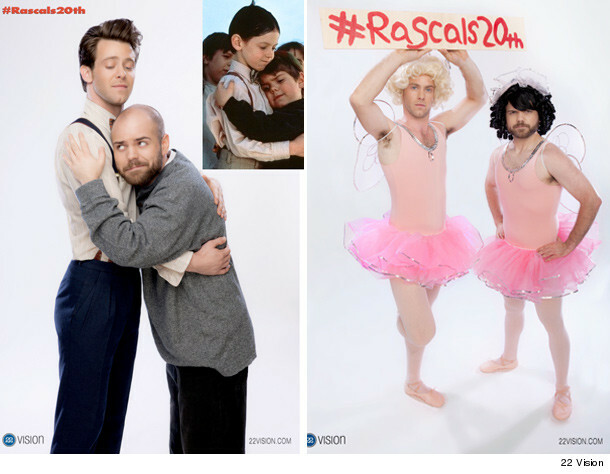 "20 years," Bug Hall (Alfalfa) tells toofab. "They sent us on a little press tour right after 'Rascals,' which was one of my favorite memories. We got to travel around, go to New York, Universal down in Florida. A lot of days I remember sitting in grocery stores signing posters. A few of the guys I had seen a little over the years, but I'd say the majority of them, it's been 20 years." And while it could have been easy for Ross Bagley (Buckwheat) to see one of his costars, the two never connected. "I actually attended CSUN and Jordan Warkol, who played Froggy, went there too," he tells toofab. "Even while we were at the same school, I didn't see him. We're all in such different schedules, so it was really great to see everyone again." So ... what was the biggest shock when they all reunited? "Maybe [seeing] Travis, because he's bald now" says Ross, referring to Travis Tedford, who played Spanky. "That was definitely a bit of a shock because he had such a great head of hair. It's all love though!" Ross also had the best answer when it came time for the two to reveal the most surprising thing they've done in the past two decades. "I got a two-month-old!" he tells us. "So that's brand new. Reese Elliot, that's my little man." "I can't follow that up," Bug adds. "I can't tell you anything about what I've done that would even be a shadow of having a kid. Not even close. toofab's Brian Particelli also recently sat down with Blake McIver, who played rich kid Waldo back in the day, to talk about the film's lasting legacy and what it was like being a child star. Plus, find out why he started working as a go-go dancer later in life in the interview above. 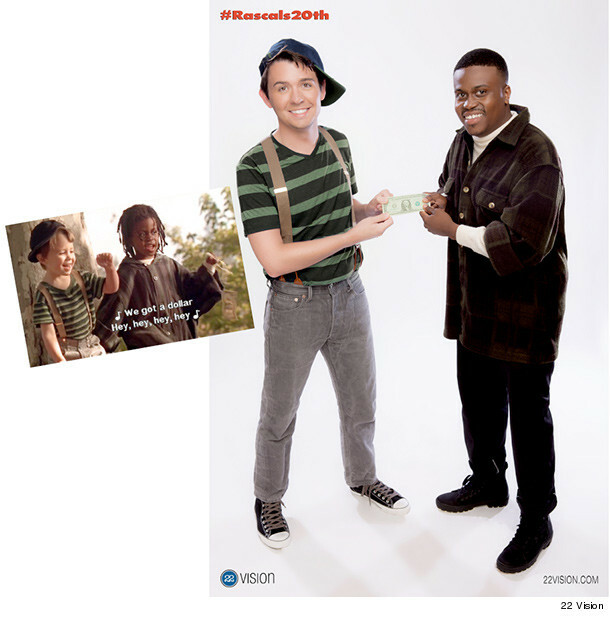 "The Little Rascals" Movie Turns 20 -- See the Cast Now!